Once you give a man a man cave, that is. Those were the words of coworkers, friends, family – everyone of the female gender, really – who I told about Bill’s Christmas present. I didn’t feel an ounce of doubt then, and I don’t feel an ounce of doubt now. You wouldn’t either if you saw Bill’s face when I let him open the door. 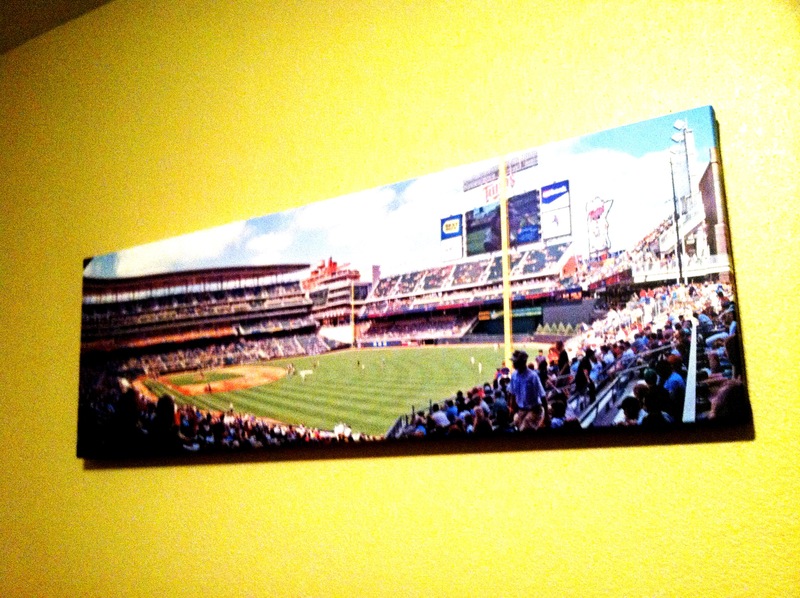 I’ve turned my guest room over to the dark side… It’s a MAN CAVE! 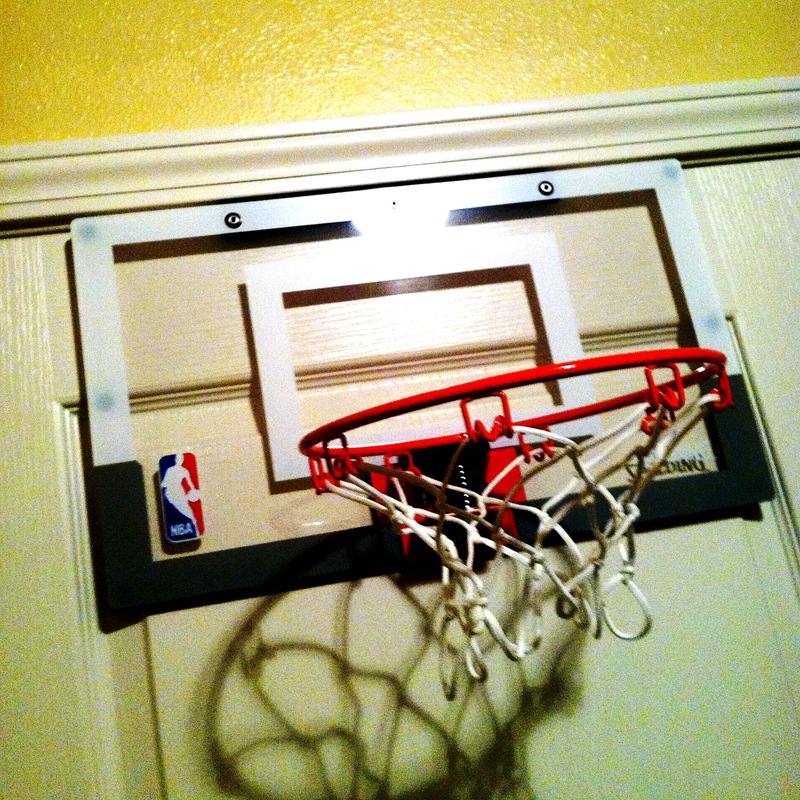 Since he couldn’t really open it, I wrapped the door of course. 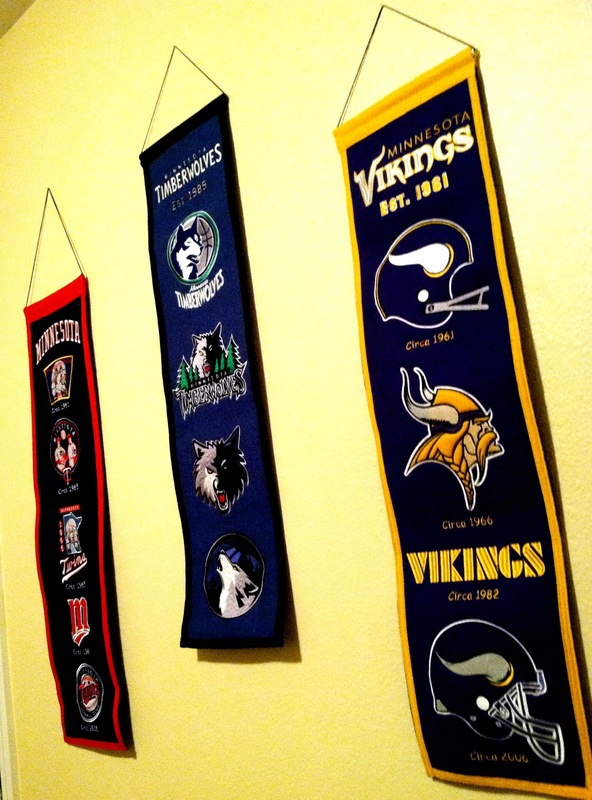 Heritage banners of his favorite pro teams… He might be from Minnesota. 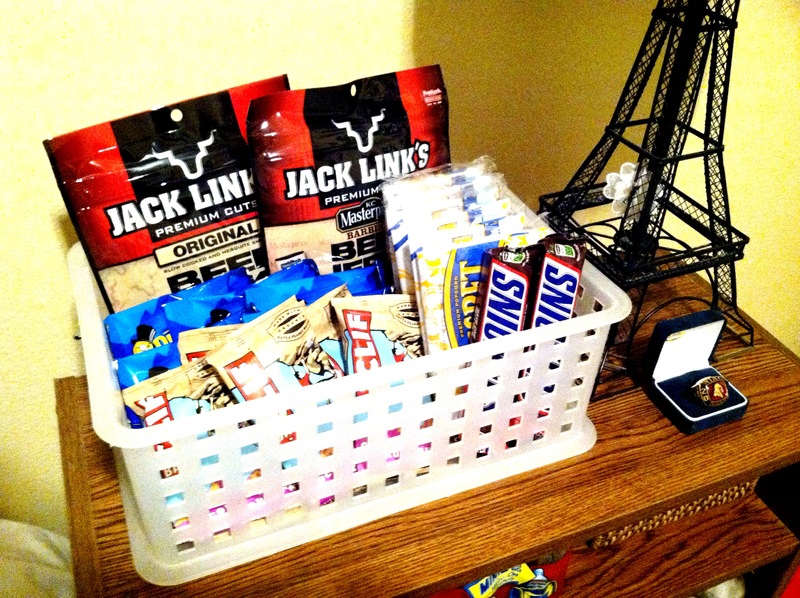 And don’t forget a stash of Bill’s favorite MAN FOODS aka PROTEIN. Of course, there was also a stocking filled with things like A1 Steak Sauce, an NBA sweatband, an microwaveable Egg McMuffin maker, and ball pump needles. Overall, I couldn’t wait to give him everything, and the smile on his face was worth it. And of course, the next week of hearing him brag to his guy friends about his present from his girl wasn’t such a bad thing either. Choosing Wisely: Simple Thoughtfulness Or Marriage and Babies?